Today Benjamin from Austin, TX sent me his Kickstarter campaign for the Zippy, a 3D printed quadcopter frame only held together with zip ties. 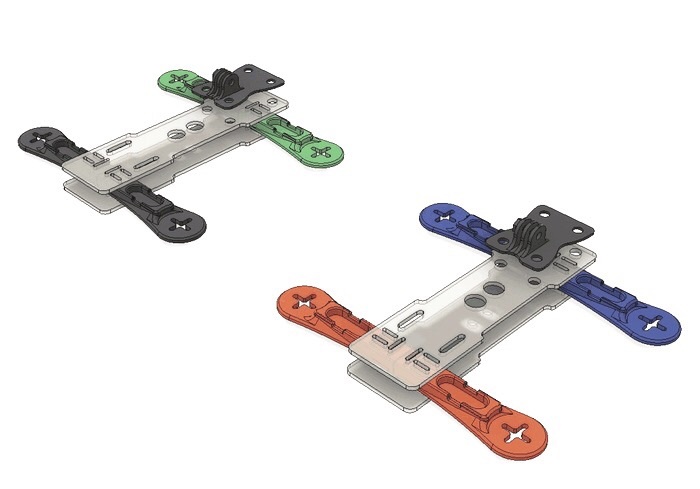 While there are tons of interesting Kickstarter campaigns I think this one is worth mentioning as it proposes a conceptually new and simple way of building a quadcopter frame inherently designed to be easily repaired and fine tuned out in the field. Exactly what a crash pilot like me would need to advance in FPV racing. Genius! 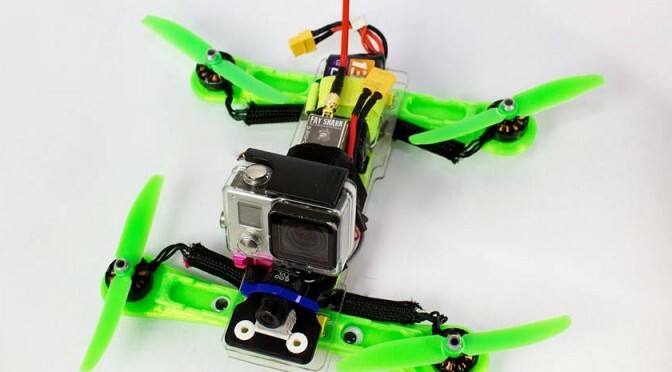 The Zippy is a DIY frame to be equipped with 250 size quadcopter gear of your own choice. The frame parts are all 3D printed from sturdy polycarbonate and ABS. Arms and center plates contain small holes so that they can be easily assembled with zip ties. Telling from the sample video, the frame seems to be rigid despite the modular design showing almost no visual vibrations and good flight characteristics. 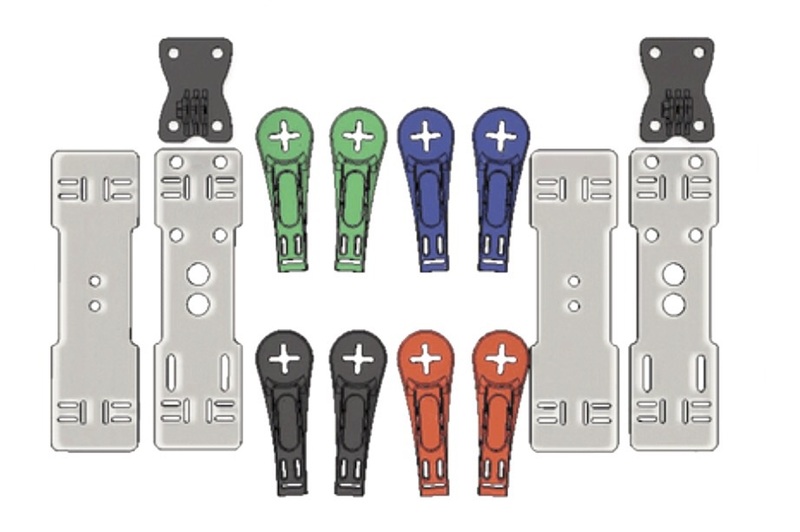 The arms are available in various colors which can be combined for very individual quad designs. Nobody will ever have to ask who’s quad just won the race. The biggest advantage of the Zippy however is its repair friendliness. It uses zip ties instead of screws to hold simple plastic parts together. Hence, exchanging a broken arm is as simple as zip tying a new one to the quad. By using 3D printing alone, it should become easy to build replacement parts yourself. This completely takes away the fear of breaking your quad in race and waiting for the super special replacement parts to arrive from China in the mail. For me the Zipppy presents itself as an ani hero compared to other frames such as the a TBD Gemini. The Zippy is a simple and honest Kickstarter campaign with a simple product, offering a simple solution. If it will be able to deliver all of the promises, I don’t know. But all together, we can turn Benjamin’s summer into a very busy one. Go Zippy Go! This is great. Cool stuff to play with this summer and I get to help out a young designer/business man. Count me in Zippy, I have your back. This is a great kit and definitely require more of these for racing and hobbyists. I’ve got a simple version of a quadcopter frame kit over at my website, but agree that plastics will be far preferred for the professional. Because on the bright, bright screens there were…… drones! The beautiful intense color of the lavender dominates the landscape of the entire Provence. The magic happens every year in early summer for a couple of weeks and it attracts many painters, photographers and mysterious ladies. Have a look yourself! The filming took place during a photography workshop with Christian Heeb.